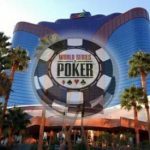 Nearly 2,800 people walked into the Rio on Saturday with the hope of cashing in the 2018 World Series of Poker Main Event. 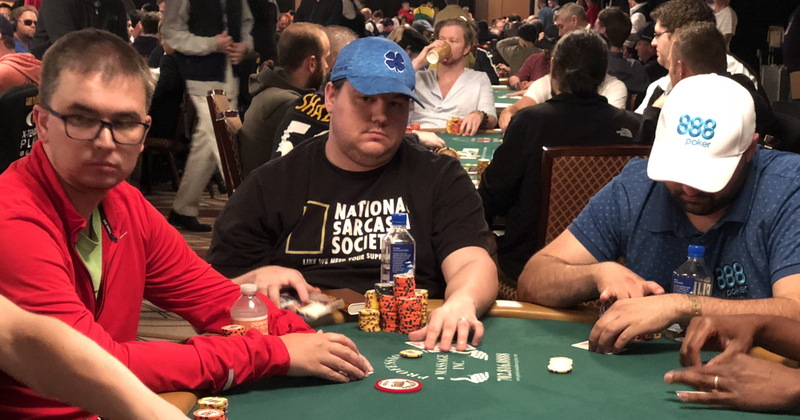 Among the sea of chips, with the money bubble on the horizon, legends of the game like Phil Ivey quietly assembled a stack in an off-camera corner of the Amazon Room, while Phil Hellmuth made a vocal exit after a WSOP punctuated with controversial table antics. 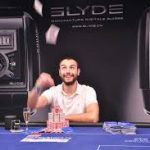 The second largest ever Main Event field dwindled from its start of 7,874, as stacks were eviscerated and tables broke, emptying the Pavilion and Brasilia rooms. And a man named Matthew Hopkins made it happen. With his exit as the bubble boy, shortly before 1 am PT on Sunday, the remaining 1,182 players were “In the [effing] moneyyyyy!! !” as CardsChat ambassador Ryan Laplante tweeted. CardsChat ambassador Ryan Laplante at the 2018 World Series of Poker main event. Sitting in 928th position, he would start Day 4 with 112,000 in chips, or about 14 big blinds. Laplante’s scheduled table included 2009 World Series of Poker Main Event winner Joe Cada, who would start the day with 211,000 in chips. Play is set to resume Saturday at 11 am PT. On the rail, both live and virtual, much of Saturday’s focus was aimed at two Phils — Ivey and Hellmuth. The former’s absence from a feature table was noted across poker social media, as Ivey received a continuous massage while building his stack to 827,000. He’ll be heading into Day 4 in 73rd chip position. Several people expressed concern that Ivey had not been seated at a feature table since the tournament started, but if his chip stack continues to grow, that may be unavoidable. The 2018 Main Event controversy for Hellmuth started a day earlier, with an outburst from the 14-time bracelet winner out of turn with all-in action in front of him. Some fans and fellow players wanted Hellmuth to receive a WSOP-enforced penalty for his tirade, but none was given. Others suggested that this wasn’t the first time Hellmuth crossed the line. 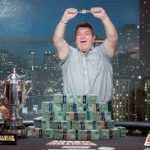 Meanwhile, Shaun Deeb could jump back into the lead of the WSOP Player of the Year race, as John Hennigan has been elimated from the Main Event, and Deeb moved to Day 4 with 511,000 chips. Other notables still alive and hunting for a bigger than $15,000 payday include Melanie Weisner, Barbara Enright, Ben Yu, Patrik Antonius, Allen Cunningham, Antonio Esfandiari, Jonathan Duhamel, Cliff Josephy, and Barry Greenstein. Would love to see Ivey at the FT with a healthy stack. 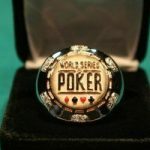 Say that is an amazing feeling to be in the money and freerolling towards a bigger payday good luck to all that is left. Good luck to Ryan laplente and all the cardchat people left take it down. The best of luck to Ryan, I hope you can get to the top places in the main event!! Huge fan of Phil Ivey and a hater of P.Hellmuth’s mouth. He is not a youngter anymore he should have known how to act after so many poker he had played till now. But seems like the 14 bracelets makes him less polite! Hoped to see Phil Ivey at the final table I always liked the way he approaches the game. He is a legend and a scary opponent to have but seems that he was unlucky.Too bad! Phil Hellmuth’s talking led him to bust out. if he could focus more he would’ve made it deep. Holding 14 bracelets in his career, he could’ve been more professional at the tables.